Ahead of its November release. 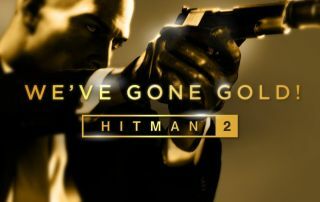 Today, Io Interactive has announced that Hitman 2 has gone gold ahead of its November 13 release date. If you've somehow not encountered this term before, it basically means full development is finished and that physical copies of the game are ready to be manufactured for shipping. Obviously that last part doesn't mean much on PC, but it's a handy milestone to remind you that the game isn't far off. We've so far had a look at two of the six levels in the new Hitman: a Miami racetrack, where at Gamescom I beat a guy to death with his own didgeridoo, and the Colombian jungle which was revealed earlier this week. I sort of hope they don't show any others before release, and preserve the surprise for launch. My impression of Miami, though, despite the demo mostly being guided, is that it's as packed with amazing detail and possibilities as 2016's Hitman. My slight fear is that releasing Hitman 2 in proximity to Fallout 76—the day before—will bury what's probably going to be a great game, when it might not have hurt to release it in January when we'll likely be starved for new things to play. But hey, I'm no market expert. I'm just a guy who wants to beat another guy to death with his own didgeridoo.